No more stress during your business trips or personal, thanks to our chauffeured car service! Discipline and punctuality of our drivers as well as their knowledge of the region will guarantee you a transfer without any disappointment. Our drivers are well trained to pick you up in the best conditions: waiting for you at the airport with a sign showing your name, they will take care of your luggage and drive you where you need to be in the best and most pleasant conditions any chauffeured hire car company can offer. What is a transfer service in a chauffeured hire car? A transfer is an itinerary between a point A (home, work place for instance) and a point B (airport, train station for instance) in a luxury hire car with a chauffeur. Which zones do we service? 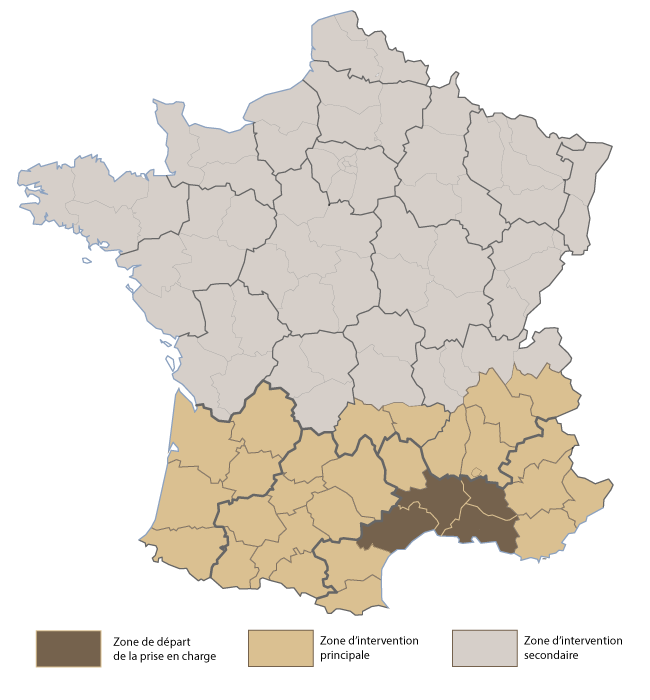 The departure zone is located from the regions of the Gard (30), Herault (34), Vaucluse (84) and Bouches-du-Rhone (13). The service zone spreads from South West to South East of France..
For instance, we can arrange a transfer from your workplace in Montpellier to Toulouse Airport. Arrangements are done in the most professional manner, with no delay and you can fully enjoy the trip, with drinks served on board and other options at your disposal. Our chauffeurs will meticulously know their trip to reach your point of rendez-vous, with an optimal timing and itinerary, this is our credo of high level of professionalism as a chauffeured hire car company. We know every single “go to” point in our region and are efficient in our trips to drive you to the desired destination as soon as possible and with maximum comfort! You can trust us, with Camargue VTC Premium, your trip will always be perfect!